Some of the most interesting beers come with an interesting story. Last night we were at the launch of an unlikely collaboration between a traditional British family brewery and one of America's most creative craft breweries which is surely a story I had to hear. 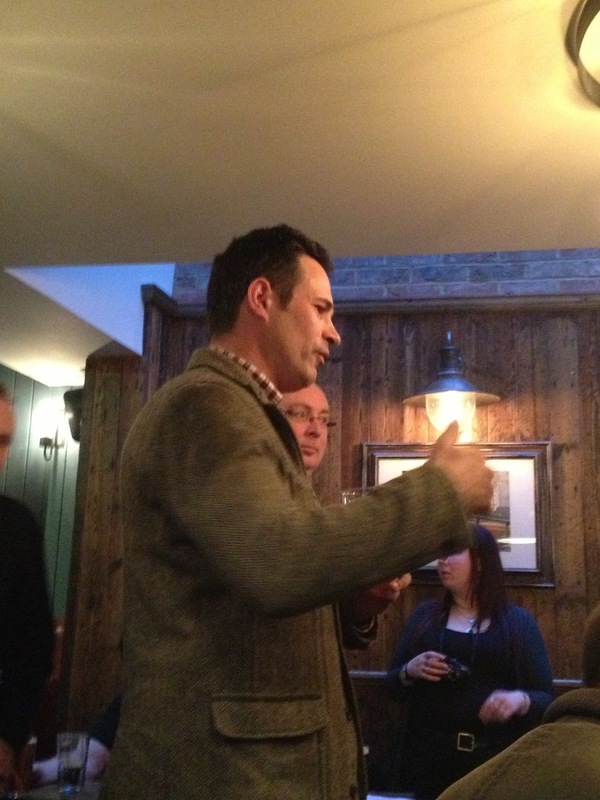 When Jim Robertson, International Brewmaster at Charles Wells, impressed Dogfish Head founder (and part time rapper) Sam Calagione with his Banana Bread beer a transatlantic relationship began. 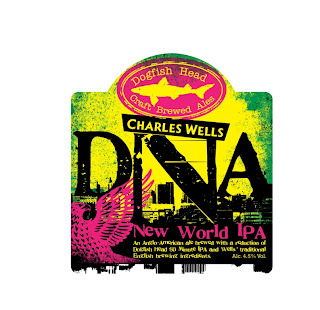 With a passion for novel brewing techniques and a respect for the traditional, this friendship has culminated in DNA, this New World IPA. But this is far from an ingredients or recipe swap between the two breweries. Dogfish have taken their 60 minute IPA, reduced it down to create a beer syrup and shipped it to Charles Wells where they added it into the boil of a 4.5% IPA made with galaxy hops and finally it's dry-hopped with Simcoe. 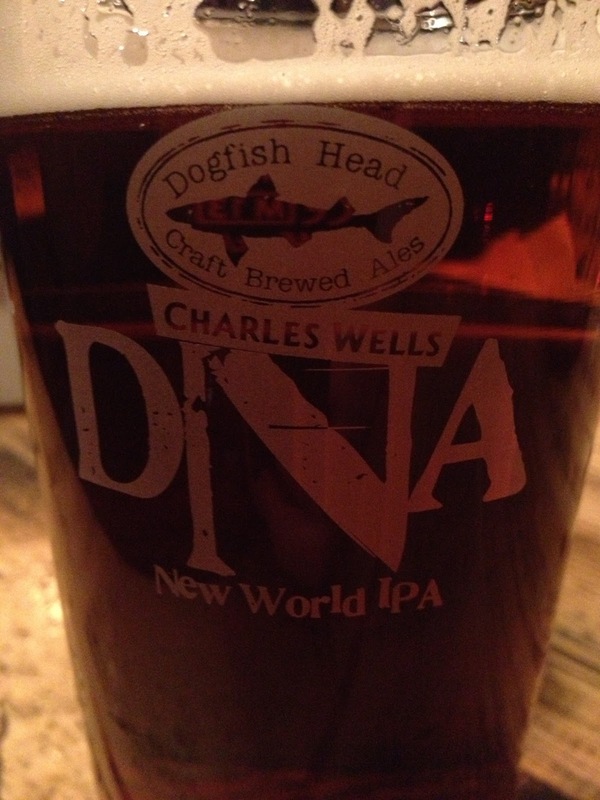 The breweries have injected the Dogfish DNA directly into this beer, but for such a unique brewing method they have created quite a traditional tasting beer. Sessionable and very moreish, it is an example of balanced British brewing. The Simcoe hops on the nose give their typical citrus and pine aromas and the careful use of malt has created a dry beer with just a hint of sweetness which aids its inherent moreishness. The citrussy bitterness builds with every mouthful and like any good pint, when the end of the glass gets closer you start thinking about the next one. 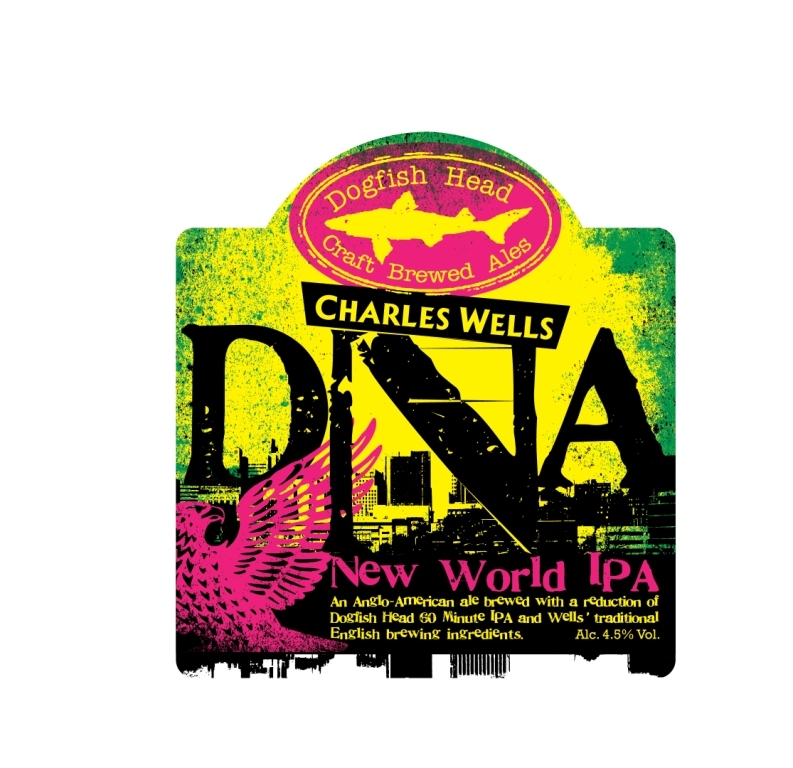 DNA is available now on cask at selected Charles Wells and Young's/Geronimo's pubs during April and will also be available in bottles and keg. The Charles Wells yeast is set to take the return trip to Delaware to be part of the US version of this very interesting experiment. Look out for Episode 3 of the Beertalkers for an exclusive interview with Sam and Jim where they share their thoughts on Craft beer.